Travel with families living with addiction, and learn how recovery, reconciliation and healing can happen. ﻿Finding Hope in Recovery, as aired on ABC network, gives insight into the difficult experience of families dealing with addiction. Travel with these families through the stages of recovery - and setback. Learn how recovery, reconciliation and healing can happen. These authentic stories challenge the church to take a new look at families in their midst who are dealing with addiction. The hardest thing is loving and hating someone at the same time. ...I love him because he is my kid, but when he takes that stuff, he is not my son anymore. 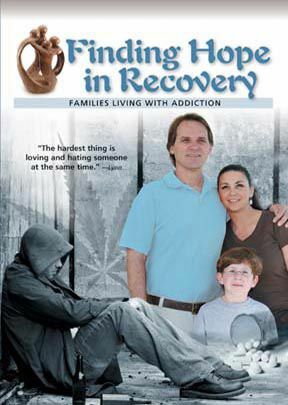 - Lynn M.
Documentary segments include: Defining the Problem; Stigma; The Addicted Family; Disease of Addiction; Treatment & Recovery; and the Gift of Serenity.